The mundaneness and predictability of a 9-5 job often make for escapist travellers. Planting in exhausted hearts the urge to “Get Away”. This is where Palampur steps in. A quiet little hamlet in the Kangra Valley at the foothills of Dhauladhar range. If a solitary (or couple, for that matter) walk in lush green tea gardens, under the blue skies on a quaint hill road is your idea of the perfect getaway. Palampur is the where you want to be. Again, who doesn’t want to end his day star gazing in the silence of the hills! 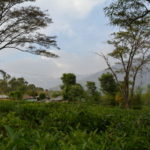 If by now you have imagined Palampur only as for Tea Gardens, hold your thoughts as it is not just that but also architecture and temples around. I visited Palampur on my way back from a week long trip in and around Barot Valley. Had my Volvo to catch in the evening so decided to spend the day here between the tea gardens, temples and cafes. While this place is well connected by Air and Rail, a road trip makes for the best picturesque vistas along the way. 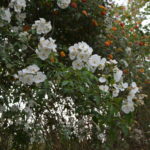 The place lies some 250 km from Chandigarh and 486 km from Delhi. Palampur Railway Station is connected by rail to Pathankot and other towns in Himachal, although this would be the slowest approach albeit with beautiful views. 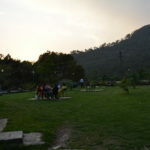 What is the Best time to visit Palampur? 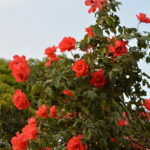 The best time to visit is in the months of March- June and September-November. Neugal Khad: A discreet little downstream with gushing white waters, flows just 2 km away from Palampur. It’s possible to reach the river bed via a small downhill trek from the city. Once there, the views of the Dhauladhar hills can only be described as mesmerising. Surrender yourself to the sounds of the water, the winds brushing past your face and the kaleidoscopic colours and you have an evening well spent. 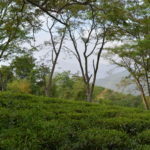 Tea Gardens: For the times when all you need is a silent walk. 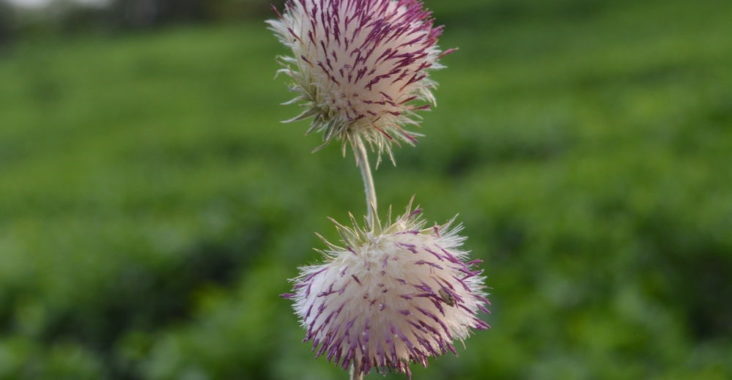 Tea gardens can be found in bounty here making it the Tea Capital of North India. Baijnath Temple: A beautiful temple of Lord Shiva in the Nagara architecture style exudes beauty and splendour to the beholder. 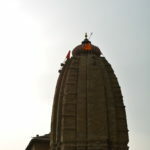 Baijnath temple lies 12 km from the city. Tashi Jong Monastery: A refuge to many Tibetan refugees, the monastery in addition to being a place of worship, has a college and a Tibetan restaurant. The location is awesome. Due to the time crunch, I was unable to visit the same, but a local mentioned that it seem to a floating monastery from a particular point! What all can I wear in Palampur? The valley is covered by mountain ranges, and the weather up there affects here. So carrying woollens is suggested depending on the season you are visiting. Any time of the year light woollen clothes should be carried, as hill stations, the weather changes any moment especially evenings. But usually, days are hot. Where can I stay/eat best in Palampur? Palampur has abundant properties servicing all budgets, which is suggested to be booked in advance online during peak season. 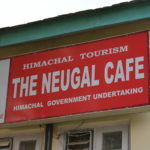 Neugal Café: A river view café by Himachal Tourism. It is one of the best spots with amazing food and drinks all under the same roof. It’s situated some 3 km from the main town with great views of the Khad and the hills.